If you enjoy number crunching and plan on a career in accounting, you may have wondered about the travel requirements for employees at public accounting firms. Some individuals love the notion of getting to travel for work. Others dread nights spent in hotel rooms and prefer to stay home, close to family and friends. The good news is that accounting firms have positions for those who are open to travel as well as for those who prefer to stay closer to home. Certain accounting positions require on-the-job travel time while others require little or no travel. External auditors often travel frequently due to the number of clients they serve and the various geographical locations of those clients. Internal auditors who work for only one company might travel between company branches, but for them, travel is usually kept to a minimum. Industry accountants may travel a lot or very little, depending on the company for which they are employed. Companies with many different offices or worksites tend to require more travel than smaller, more localized organizations. Many accountants seldom, if ever, travel for business. The type of accounting work you do will influence the amount of travel required for your job as will your position within an accounting firm. Tax accountants generally don’t travel at all unless they provide tax-season assistance for foreign colleagues or need to support a long-distance client in an audit. Small public accounting firms that work primarily with small companies and individuals rarely require travel of their employees. Accountants that manage internal operations such as payroll also do not usually travel for work, either. Senior clerks, especially those that perform audits for large companies, may travel in order to perform audits on clerks at other company locations. However, companies with a single location will not require senior clerks to travel in order to perform audits. A career at a public accounting firm is great for someone who does well attending to detail. If you enjoy balancing books and working with financial records, you might enjoy work at a public accounting firm. 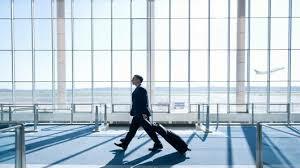 However, few people take a job at a public accounting firm solely based on the travel opportunities. Some external auditors will travel extensively, and CPAs that work with large corporations may be required to travel a lot for their jobs. However, bookkeepers, tax accountants and clerks are not likely to do a lot of traveling in their work for a public accounting firm. Now that you have a good understanding of the travel requirements for employees at public accounting firms, do you think this career would be a good fit for you?